Invert, like Focus, is intended as a new Force skill to expand on Star Wars D6 RPG rules. Where Sense expends perception, Control enhances a character's personal abilities, and Alter allows a character to affect things beyond themselves, all of these allow manipulation of the natural flow of the Force. Invert instead complete twists and corrupts the flow of the Force for devestating and horrifying results, as well as some nifty ones. Like Focus, Invert is intended to expand what is normally available in Star Wars for Force abilities. Unlike Focus, which is meant to enhance the flow of the Force, Invert s about corrupting the flow in ways that strong Alter users can only dream of. Below is a section explaining what Invert is, and below that is a list of Invert based Force powers for GMs and players to include in Star Wars D6 games and campaigns. The known common Force skills, Sense, Control, and Alter, have always been about manipulating the flow of the Force. While the Force flows in its own natural path from and through all living things in the galaxy, Force users use their abilities to change this flow. While in the great scheme of things this change in flow hardly ever registers, there have been occasions in galactic history when conflict within the Force...between the Light Side and the Dark Side...does become noticeable on a galctic scale, and leaves a mark on the universe that does not simply wear away, even after millenia of time. The Celestials, or the Rakata Infinite Empire being among the oldest of such marks. Even during these events in history, it requires a great many number of Force users to change the flow of the Force so much as to leave such an unforgettable scar upon the galaxy, the universe, even upon life itself. One single Force user born to the power of Invert can potentially do to the galaxy what takes hundreds, thousands, even millions of Jedi and Sith, Celestials, Qua, or billions of Rakata to do within an entire era of time. As rare as those Force users are who are born into the power of Focus, those born to the power of Invert...more properly called Inversion...are just as rare, and just as powerful, if not more so in both cases. Where Sense, Control, and Alter users manipulate the natural flow of the Force for desired effects, and Focus users increase that flow to access more powerful effects, and Invert user is naturally gifted at completely throwing that flow off in horribly unnatural ways, or reversing the flow of the Force entirely. An Invert user takes the natural order in the Force that Jedi, Sith and other Force practitioners are used to manipulating and disorganizing that natural order into something unrecognizable, and sometimes even unusable by other Force users. Another possible analogy could be that if other Force users change the flow of the Force to, at most, 45% away from the course of the natural flow of the Force, then an Invert user can change this flow to 90%, or potentially reverse that flow a full 180%. The results of such effects are often devestating to say the least. There are some places in the galaxy that are focal points of the Dark Side or places sensitive in the Force where tragedy struck, and the Force remembers these events. An example of such a place could be the cave on Dagobah that Luke visited while he stayed and trained with Yoda. As such locations are focal points for concentrations of Drak Side energies or other disturbances in the Force, these places are often the result of very powerful shifts in the Force during times of great tragedy involving many people strong in the Force, or many hundreds, thousands, or more, people who were not but still faced a great tragedy around the same time. Instead of such events happening to create these locations, and Invert user could simply create such a place on their own. They may even create such a thing by accident without realizing it, if they have not had proper training in understanding exactly what Invert is and how it works. Therein lies a problem. As rare as Invert users are, they rarely ever survive long enough to pass on their knowledge. Those know to have mastered their Invert powers work to master a power that goes completely against what the Force is, and therefor are destined to brush with the Dark Side from the moment they are born, as Invert, like Focus, is a born power (and must be taken at character creation, and cannot be taken later on). What few Invert users have attained mastery have been known to become so disturbing with the Dark Side that the Sith have even been known to ally with the Jedi to take an Invert user down. Such is the threat Invert users often pose to the galaxy and those who live there. By twisting and messing up the flow of the Force, Invert users can screw up the flow of the Force to make Force powers produce strange and unexpected results. They can even twist life itself, mutating living beings into grotesque and diseased monstrosities who have lost their minds due to the inhuman amounts of pain such warping of the body produces, and yet this change in the flow of the Force enables them to survive the process, though at the loss of sanity. Invert users can reverse the natural flow of life and in the process reverse aging, though the results of this may not be a cute and cuddly and infantile as you might think. This reversal of life can even be used to warp the Force within living sentients to make them immediately stop living, yet still live....undeath in an instant. Inversion can even allow the user to manipulate the very force of the universe itself, such as time, space, and gravity. Some of these examples mentioned above may seem remeniscent of Force and Sith abilities well known in Jedi and Sith lore. But there is a vast difference. For instance, creating undead is possible using Sith alchemy, something that has been done for ages by alchemical experts. But the process of Sith alchemy is time consuming, taking days, weeks, months, years, or longer depending on the project and sibject being altered. In the case of creating Sith undead, the Sith may have streamlined this process over millenia, but it still takes time to convert a body into an undead, let alone hordes of them. An Invert user can do this in an instant with a roll of their Force skill dice. Invert's natural bent to doing this may have been the reason Sith alchemy sought to make undead in the first place, but who knows. Other notable differences between Invert and Sith alchemy is that while Invert can create monstrosities quickly from base species, these mutated beasts usually do not live very long, and even if they do they usually cannot breed offspring that would carry on their monstrous new traits. Sith alchemy, on the other hand, has resulted in many new species, creatures, and monsters that can do this, and have last millenia in the galaxy. Another key difference is that Sith alchemey can be used on almost anything to change the base object's properties, where Invert's changes usually only affect things that are imbued with the Force. This is why Invert's powers lean towards affecting living beings. However, if an object has been imbued with the Force, such as Sith swords or Rakata star maps, then Invert could certainly affect these onjects as well. This is one example of the difference between Invert and other Force based powers, skills and abilities. Sense, Control, and Alter, and other facets of Jedi and Sith lore, may be able to gain the same results with time, effort, and perhaps resources in the case of Sith alchemy. But an Invert user can do all of these things in an instant due to their natural bent to warp the flow of the Force beyond what other Force users are usually capable of or willing to do. This is why Invert users are so dangerous, because such power comes so easily, and it often leads to the Dark Side. Using the Force in unnatural ways often leads to the Dark Side, and Invert users almost always fall to it a some point in ther lives, as if they were born to do so. Very few ever do not do this, and those few who do not may have been born, lived, and died without ever knowing they possessed such power in the first place. It should be noted that due to the very nature of Invert, while its use often can and does affect users of the Light Side of the Force, chaning their powers from a benign or beneficial effect into something more dark and vile, the opposite is true as well. Using Invert powers on Dark Side based powers and effects can change these into Light Side based results. For that matter, using Invert on a Force power meant to cut off a Force user's connection to the force can instead increase their connection to the Force and endow them with the Focus Force skill (or if not using Focus, enhance the Force skills they already possess). EFFET: The Invert user uses this power against another Force user who is about to use a power of their own. If successful, the result is usually that the target's Force power does not work, as the flow of the Force is redirected elsewhere from the target and the desired result from their use of the Force is denied. If the target user rolls a 1 on their wild die, then their power's effect goes off but on a randomly selected target that is NOT the Invert Force user or intended target. EFFECT: The Invert user targets another Force user who intends to use their own power, similar to Invert Force. Unlike Invert Force, the effect of the target's Force power is completely reversed. For instance, if the target is using Control Pain, they will instead receive the opposite effect and feel much more pain, as the highest Force skill dice of the power they tried to use will be added to the pain as a stun effect that could knock the target unconcious. If the target uses Resist Stun, they will instead become more susceptible to stun effects, decreasing their resistance dice to stun by however many dice they have in Resist Stun's highest Force skill. Sny Force skill affected by this power has their effects reversed, as powers that cause injury can now heal or do no damage, and powers that heal instead cause injury and damage, and powers that allow enhancements now debilitate their intended targets. EFFECT: The Invert user targets another Force user who intends to use their own power, similar to Invert Force. Unlike Invert Force, the flow of the Force for the target's power is redirected against them, and the power backlashes violently against the target and causes direct damage. The damage is equal to the target Force users dice in the highest Force skill used for the power they attempted to use. The more powerful the Force user is, the more damaging this effect will be. This could mean a light stun for the weakest Force users, a Wound for more experienced Force users, or for the more powerful ones they could be consumed in a flaming conflagration of their own corrupted Force energies being redirected back upon them. Some powerful Force users of a rare caliber could even be incinerated to dust or disintegrated with not even dust left to mark their absence. EFFECT: The Invert user has learned how to use Inversion to bend the very light around them. The standard use of this power is for the Invert user to slip between waves of light as the light bends around the user, making them effectively invisible. This is based more on Control and less on Alter due to the user affecting how light reacts to their personal space rather than an area away from them. EFFECT: The Invert user has learned how to twist the Force to create disturbances that can be felt by other Force users from far away, even across space to other star systems. Other Force users feeling this disturbance could mistake it for the resence of a very powerful or very ancient Force user, a terrible wound in the Force from some devestating spatial anomaly, or more likely the deaths of hundreds, thousands, millions, billions, or even trillions of living sentient beings. As for the range and extent of this effect, this disturbance in the Force works much the same as Force Beacon (see Force Skill: Focus or Force Beacon's own entry where applicable). Such disturbances have also been known to make it very difficult for other Force users to concentrate and be able to use theor Force powers when directly near the creator of such disturbances. This will require a Willpoer skill roll against the Invert user's Invert Force skill. EFFECT: The Invert user has learned to use their abilities to corrupt the flow of the Force in a specific area. Any other Force users who attempt to use their own powers in this affected area suffer the effects of Invert Force, Reverse Force, or Force Backlash. The size of the area depends on the Invert user's dice rolls. Starting at Moderate Difficulty. A Moderate Sense roll results in a 10m area, increasing this by 10m with every Difficulty achieved beyond this, with 40m at Heroic. A Moderate Control roll results in a x1 range modifier, increasing by 1 with every Difficulty achieved beyond this, with x 4 at Heroic. A Moderate Alter roll does not affect the range, but is required to activate the power. An Alter roll of Difficult can convert the range from meters to kilometers (x100), and so on for every Difficulty achieved beyond this. Moderate Invert is needed to activate the power but only with the Invert Force effect. Invert rolls of Difficult get the Reverse Force effect, and Very Difficult gets the Force Backlash effect. EFFECT: When rolled successfully, the area of space affected by this power has no Force flowing through it whatsoever. Any and all other Force users cannot use the Force in this affected area until they leave it. Any beings that need the Force to survive and connot leave this area will probably die, such as some forms of plants and animals that have a special link with the Force. The ranges for this area are decided the same as Force Corruption. A Moderate Sense roll results in a 10m area, increasing this by 10m with every Difficulty achieved beyond this, with 40m at Heroic. A Moderate Control roll results in a x1 range modifier, increasing by 1 with every Difficulty achieved beyond this, with x4 at Heroic. A Moderate Alter roll does not affect the range, but is required to activate the power. An Alter roll of Difficult can convert the range from meters to kilometers (x100), and so on for every Difficulty achieved beyond this. Moderate Invert is needed to activate the power, but rolling Difficult and higher can decide how long this effect can stay with another Force user even after they leave the Force Dead Zone. Difficult results in 1 round, but this time is modified by the other Force skill rolls. Sense rolls decide the same time, but for hours instead of meters, up to 4 hours. Control rolls multiplies these hours, up to x4. Alter rolls can increase this time even more, multiplying by the hundreds, and can make a Force user think they have been completely cut off from the Force, when it's just the efefcts of Invert having a sickly lingering effect die to their nature. EFFECT: The Invert user affects the flow of the Force and life itself. The target is affected by excruciating pain as their body betrays them, spasming muscles, breaking bones, even showing uncontrolled growth of flesh, muscle, and bone, as well as any other substance that may be present in the target such as diseases. The target's own mind falls victim to this alteration of life and they effectively become a mindless pain-driven uncontrollable berserker that will lash out at anyone or anything that moves. The target loses their Knowledge, Mechanical and Technical dice, while their Strength, Dexterity, and Perception are increased depending on how well the Invert user's Force skill rolls are. Sense rolls afect the target's Perception, Control affects their Dexterity, and Alter affects their Strength. Difficult rolls grant +1D, Very Difficult grants +2D, Heric grants +3D, and so on. This power effectively makes mindless monsters. Mental control Force powers could be used to control these creatures. EFFECT: The Invert user has learned how to use similar abilities as Invert Life upon themselves without the nasty side-effects of random mutation or losing their minds, and can enhance their personal physiology to make themselves more capable in combat and other physical activities. Alter is dropped due to this power being more personal, but Invert rolls are used to determine the enhancements to the Strength Attribute. EFFECT: The Invert user, now knowing how to rechannel the flow of the Force in living beings, can stop this flow completely and instantly kill people. This is not the same as Injure/Kill or Telekinetic Kill, as these powers involve harnessing the flow of the Force within people to affect them. This power instead severs a target life form's connection to the Force to the extent that not even life is possible. This power even affects undead of all kinds, as the various undead in Star Wars still rely on the Force to flow through them in some altered form or other to allow them to be animated, or reanimated, and exist. Sever Life disconnects these undead from their connection to the Force and even they drop dead for good when affected by this power. EFFECT: Learning how to alter, redirect and frechannel the flow of life through living beings, the Invert user can "reverse" life inside these beings and effectively make them undead. The target loses their Knowledge, Mechanical, and Technical Attributes, and become mindless zombies. The user can use mental control Force powers to control these freshly made undead. These undead have not been treated as some Sith Alchemical variants would be, and are not another form of near-undead mutated life like the Rakghoul. They are truly dead and will begin decaying the moment they have been changed into these undead. Sith Alchemical treatments could preserve them, but the use of this power is often to create distractions, obstacles, or as a punishment to those who failed in service of the Invert user. It should be noted that since these undead are still connected to the Force and if they were once Force users, sometimes their Force abilities transfer over in some way. Force user undead can sometimes use their Force skills and powers, and Force users with very high Force skill dice sometimes remain self aware after they have been turned into an undead. The more intelligent and knowledgeable of these Force users may seek to extend their existence and preserve what is left of their bodies. These individuals who have any Sith Alchemy knowledge may succeed in doing so. The target of this power can also resist using their Willpower skill or Knowledge Attribute dice, and must roll against the Invert user's Invert Force skill dice. Succeeding in resisting this power shows that the target has a will to live stronger than most sentient life forms. EFFECT: The Invert user has learned to alter the flow of time around themselves, allowing them to move slower or faster at will. A Control roll of Difficult allows x2 actions for the Invert user. So the user could have 2 actions with no dice penalties for multiple actions, or they could take 4 actions at only -1D (up to 2 actions at only -1D normally, but the power doubles the number of actions). Very Difficult grants x3, and Heroic at x4. If the Invert user wishes to slow their own time flow relative to everything around them, this would allow them to see the world pass by much quicker, at speeds up to x4 as listed above. For impatient Invert users, this could be used to speed up time from their perspective to get to a target time much sooner if desired. But beware, because this will also slow the user and enemies wishing to attack them will get the same bonuses to their number of actions as listed above. EFFECT: The Invert user has discovered that their manipulations of time can go much further than simply slowing it down or speeding it up, and they can now reverse the flow of time. At the same rolls for Invert Time, the user can progress backwards through time and recent actions at a speed of up to x4 normal speeds. They see the world moving around them but in reverse, like watching a movie rewind itself. At this level, the user cannot interfere with anything or anyone they see moving backwards in time, due to some unforseen barrier between them and the rest of the timestream. They can interact with the rest of the world and the universe when they drop the power and the flow of time reverts back to normal. A Control roll of Moderate has time reversing but only at normal speed. Difficult is x2 speed, and so on with Heroic at x4 speed. EFFECT: The user alters the pull and push of the force of gravity to move in a different direction. This can be used to slam target enemies against walls and have them stuck their walking on walls until the power is dropped. When used against a target enemy, any damage incurred should be considered "falling damage" as gravity is affecting the in the same way as though they were dropped from a height to hit the ground below. Target enemies affected by this power could use skills like Dodge or Acrobatics to resist the worst of such effects, but they will have -1D to these rolls as their balance and equilibrium are affected by the change in up and down, and ae effectively Stunned. This power only changes gravity to pull at an angle or fully sideways, but can't quite achieve "antigravity". This power could also be used as a means of affecting the propulsion of a starship. 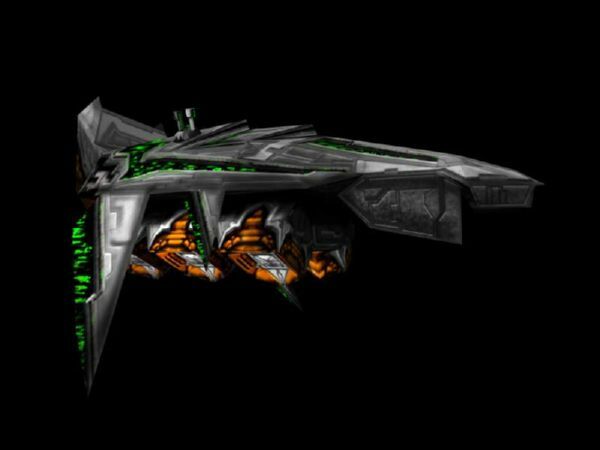 For example, if a ship has its drives disabled and is ob the verge of falling out of orbit and burning up in a planet's atmosphere, this power could be used to maintain a stable orbit, or even pull the ship out of orbit all together with enough power from the Invert user. EFFECT: Like Invert Gravity, but the flow of gravity has been fully reversed, and what goes down now goes up. Affected targets fall upwards until out of range of the power's effect, then they begin falling back to the ground. They will incur falling damage unless they have some means of avoiding this, like using Dodge or Acrobatics skills, or a jet pack. The difference between Invert Gravity and this power is that this power fully reverse the direction of gravity, and with a little tweaking and preplanning, could be used as a quick way to dispose of enemies, or as an impromptu means of flight. Like Invert Gravity, this could also affect the propulsion of a starship. EFFECT: By manipulating gravity, the Invert user has learned how to make a Hyperspace interdiction field that can deny Hyperspace travel in a selected area of space. EFFECT: The Invert user can harness gravity around a target and crush it with the universal force of attraction. Damage doen to the target equals the user's Invert skill dice. Targets resist with Strength, Body or Hull dice, as well as any other defenses they have like armor or shields. targets killed or destroyed by this power are crushed into a very small but very dense object composed of the matter they were once made of. How small and dense this object is depends on how well the Invert user rolls when they successfully crush the target into oblivion. This power is not reduced in damage when affecting a target larger than character scale, but the target does get their scale in dice to resist the implosion damage. This way, speeders, walkers and even starfighters may be crushed, transports may be iffy, but capital ships will resist, and Death Star scale objects will probably not be affected. This power can be kept "up". EFFECT: Space, like time, water, and the Force, has a certain flow to it. It can also have a stillness. When taking into account certain things like matter and energy, or dark matter and dark energy out in deep space, the concept of space takes on entirely different meaning. Inverting space means the Invert user can effectively "fold" space. However, they cannot do so in a way that allows FTL travel or realspace propulsion. Instead, inverting space can allow the user to creat space folds and pockets that allow them to hide. From the outside, space looks normal, and only the Invert user can detect the inverted space they have created. Other Force users with the right kind of Sense powers may be able to detect these folds, and a user with Sense Force efinitely would be able to. Once behind or inside these areas of inverted space, the Invert user is completely undetectable by any kind of sensors, and as stated above, only Force users would have a chance to do so. 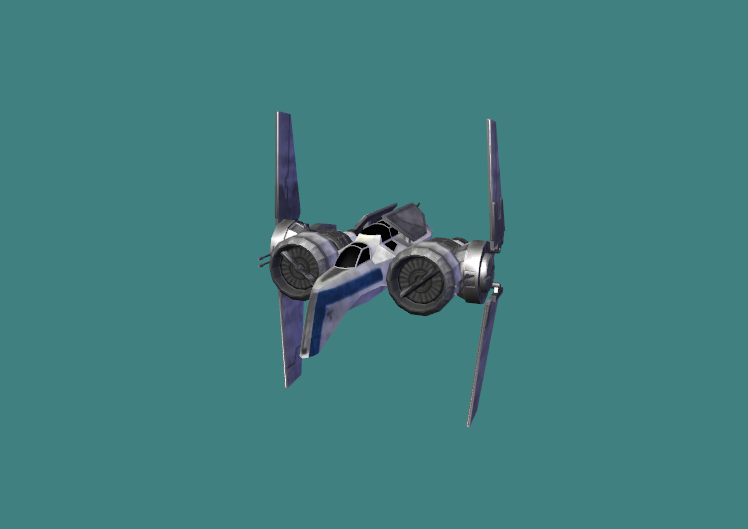 The Invert user can move, walk and run like normal, and they can even use this power to hide an entire starfighter while it flies at normal speeds, perhaps even a transport, and at higher dice rolls maybe even a capital ship. These folds could also be used as shields at selected fire arcs, as any weapons fired at the Invert user or their ship would simply slip around the user along the curve if the inverted space. When used in this defensive manner, the use applies their Invert dice as a shield in a desired fire arc, and only that arc. If aboard a starship, the user's Invert dice count as pips to add to the starship's defense. EFFECT: Furthering the Invert user's manipulation of space, they have now learned how to reverse space. Doing this in a selected area rebounds space back upon anyone within the target area. The target area is defined the same as with Force Corruption (Moderate Sense roll, 10m area, increase by 10m every Difficulty past this, 40m at Heroic; Moderate Control roll, x1 range modifier, increase x by 1 every Difficulty past this, x4 at Heroic; Moderate Alter roll does not affect range, required to activate the power; Alter roll of Difficult can convert the range from meters to kilometers (x100), and so on for every Difficulty achieved beyond this). PEople caught within this "reversed space" are trapped as space holds them in place. They cannot get free from this "space cage" unless they have some tech that can affect space like a repulsorlift device, a Force power that can negate other Force powers or effects, or perhaps a Force artifact that can dispell the effect. While within this affected area, the space around the trapped individual(s) seems like an endless mirror as the space reflects itself endlessly, yet the person seems to have nowhere to go but the location they are trapped in. Prolonged confinement in this trapped space can lead to dehydration, starvation, suffocation, and lunacy. The Reversed Space disappears when the Invert user drops the power or leaves the effect range of the power. EFFECT: Having learned how to invert and reverse space, the Invert user now knows how to cause space to rapidly expand with enough force to count as an explosive detonation. The damage of this eplosion equals the user's Invert dice, with an explosive range or 1/2/3 meters, expanded by how well the user rolls with Alter. Moderate Alter equals x1 range, Difficult x2, Very Difficult x3, and Heroic x4. A spatial detonation also has the drawback of screwing up sensors. Sensors will not be able to scan through the area of a spatial detonation for several rounds afterwards, as the area of space is reverting back to normal. When scaling up the Spatial Detonation, it is only reduced -1D per difference in scale. EFFECT: After learning how to bend and twist the universal forces of time, space, gravity, light, life, and the Force itself, the Invert user now knows how to create and Interdimensional Rupture, a tear in spacetime that also affects Hyperspace and any other relevant dimensions coexisting in the same area. When created, the Interdimensional Rupture automatically destroys anything caught in its opening maw as unfathomable energies are released into realspace. Any physical object caught within this area struggles briefly to exist in more than one dimension at the same time, ultimately being atomized in the process within milliseconds. The area the rupture covers starts in an area of space range 1, and expands depending on the Alter dice roll. Difficult is 1 space range increment, Very Difficult is 2 from the point of the ruprure's origin (in every direction from the point of origin, so technically this is 3), and Heroic is 3 (techncally 7 as it's 3 on either side of the point of origin, as well as the 1 in that point itself). Once opened the rupture can be kept open as the Invert user keeps the power "up". The rupture expands 1 space range increment per round in every direction, annihilating anything that touches it. No resistance rolls and damage is automatic to people, vehicles and ships. The Invert user, if they use Invert Space to create a fold of protective space, can enter the Interdimensional Rupture without sustaining any damage. Once within, they can use their other abilities (if they have them) to enter Hyperspace or some other dimension. 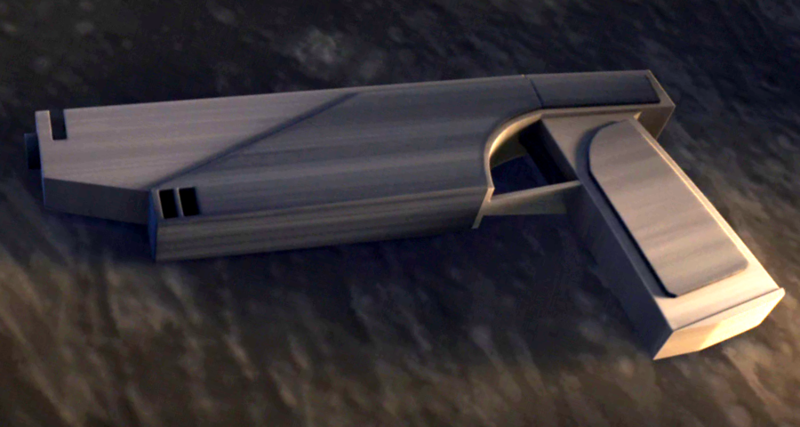 To do this, appropriate sense powers must be used (Sense Hyperspace from Focus, for one example), and then the ship must be piloted through the rupture into Hyperspace. Slip Into Hyperspace from Focus could do this, with one less Difficulty since Realspace and Hyperspace are intermingled at this point, but normal piloting skills could achieve this as well while flying into the rupture (Very Difficult, maybe Heroic, at the minimum). 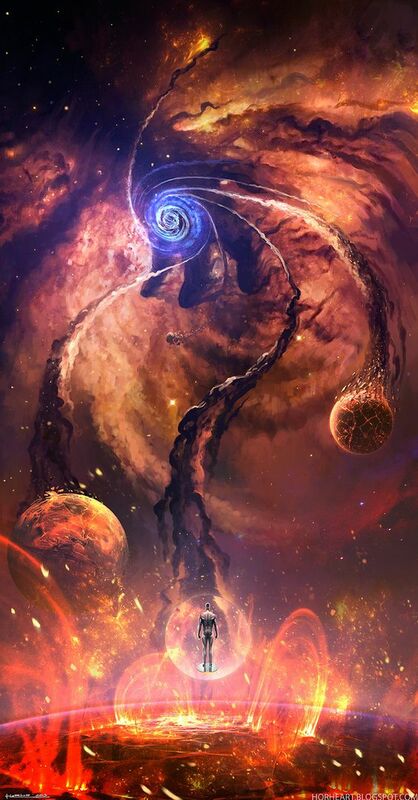 The Invert user who created the rupture can dispell it after leaving, or leave it open to grow and consume every one, every thing, every ship and planet, that it comes into contact with.